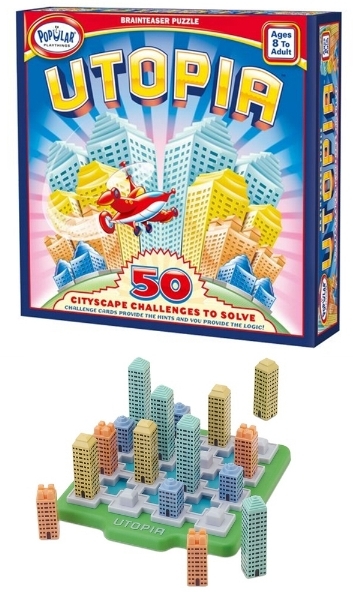 Build a cityscape challenge with your logical thinking. Phase one is similar to Sudoku. The rules for phase two are harder and requiere more reasoning thinking. Ages: 8 to adult. Single player. Instuctions in English, German, Italian and French. Design: Sjaak Griffioen. Took part in 2010 Puzzle Design Competition.